A 65-year-old man has died after a van fell on him in a Bulwell street. It is believed the man had been working on the van when it fell on him at around 2.30pm. There was a heavy police presence in Bulwell following the incident, and an air ambulance was called to Abercarn Close, which is just off Rock Street. A number of police cars and ambulances were also seen in the area at around 3.30pm. A police statement said: “Officers were called at 3.24pm to Abercarn Close in Bulwell following a van falling on a man. Police are not treating his death as suspicious. A spokesman for Nottinghamshire Fire and Rescue Service said: "We were called at 2.31pm to Abercarn Close. 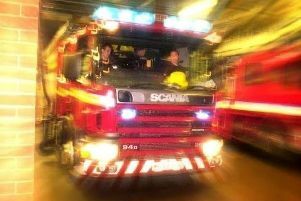 A crew from Stockhill attended they were there to assist the ambulance service."